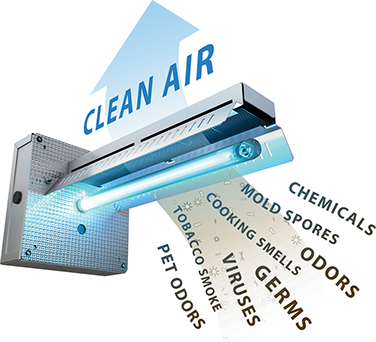 UV lights are another way to help enhance indoor air quality. The UV light attaches to the air handler unit. What are Benefits of an UV Light? Reduce colds and flus because germs are not re-circulated by HVAC system. Maintain a cleaner coil, which improves cooling efficiency and reducing electricity costs. Provide a healthier and cleaner environment for your family. Call Bay Area today at 410-636-6400!